Special guest Caitlin Elliot joins Blake and Ferris to take a look at the upcoming season of the National Women's Soccer League. Predictions are made, new beer is discovered, and there is much Marta discussion. We also go over the news surrounding Lifetime Networks NWSL television coverage. Caitlin has the beer pick this week. 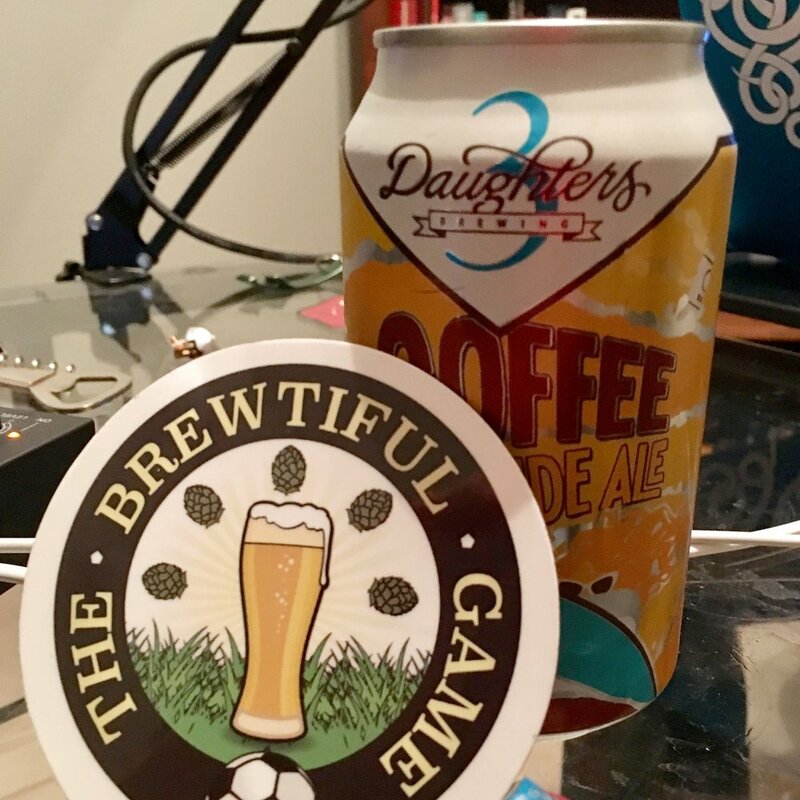 If you like coffee, you'll love this beer from 3 Daughters Brewing. Subscribe to us on iTunes, and if you like it, please leave a rating and review. Cheers! We gathered together a few days before Christmas to talk a bit about recent Premier League matches, and some soccer news that is closer to home for us Orlando-based soccer fans. We called up our resident NWSL and all women's soccer expert, Caitlin Elliot, to discuss the recent news of Alex Morgan deciding to play a part of next season in the France. This will leave her missing a few months of the upcoming season with the Orlando Pride. We also discussed Caitlin's unfortunate choice of becoming a Hull supporter in the Premier League this year. At least she got a sweet Hull City onesie out of it. Since it is close to Christmas, Blake introduced the crew to the legend of Krampus with Southern Tier Brewing's seasonal Imperial Helles Lager. You can enjoy his dramatic reading of the legend of this Krampus beer. Sound effects were provided live by Ron and Ferris. Santa Yoda is keeping us safe from Krampus. We will be recording a special Boxing Day episode immediately following the Premier League matches on Boxing Day, so be on the lookout for that. We'll also be live-tweeting during the matches. From the whole crew here at the Brewtiful Game, we wish you a very merry Christmas, happy holidays, and have a wonderful new year! PS. Looking to get us a last minute gift? We just want your company. Subscribe, rate, and review us on iTunes.